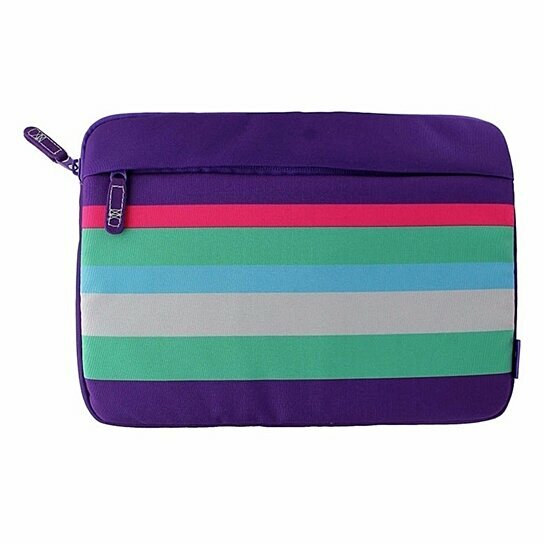 M-Edge products, Universal Padded Sleeve Case for 10" inch Devices. Purple trim with green, blue, and pink stripes design and a blue padded interior. Secure zipper closure. External zipper pocket. Padded interior provides security for your device.